It’s time to put 2013 behind us and look toward the future that will be 2014. It’s safe to say that 2013 was an amazing year for safelists and viral list builders. The popularity of the LFMVM script has finally brought mailers to the level that I knew they would eventually reach. A lot of that had to do with established traffic exchange owners getting into the mailer game and bringing their TE members with them. This has allowed mailers to reach a much wider audience than they have ever been able to reach before. Of course with so many new mailers launching in 2013 it makes sense that not all of them are going to be good. The cost of opening a viral list builder is now lower than ever but the cost of growing that mailer into a profitable business still seems to be beyond the reach of most marketers. As with most things, the cream always rises to the top. As it is a new year I thought this would be a good time to clean out some of the mailers that have been underperforming and focus my attention on the ones that are bringing me the best results today. I have also decided to drop all mailers that have added a new feature requiring all members to read additional emails, regardless of membership level and how many credits they have, before they can send their ad. I find this new trend to be extremely annoying and almost everyone I have spoken to agrees. I suppose forcing people to read additional ads will help to inflate the click-thru rates but ultimately I think it will just drive people away. I’m curious to hear what everyone else feels about this so feel free to leave a comment below. While I was able to eliminate quite a few mailers from my list this week I have also found some time to test out some new ones. 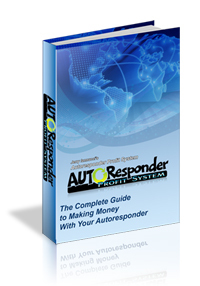 I have added Safari Mailer from long time TE owner Paula Zuehlke, Instant Viral Mailer from long time safelist user Gnana Prakash, Bakery Mailer from Adam Figueroa which is being advertised everywhere, and TrafficLeads2IncomeVM from Rob Gehring who is the long time owner of the very popular Traffic Leads 2 Income training program. Check back next month to see how well these new mailer performed. And now… this month’s stats! Here’s the way it works. 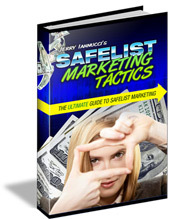 Every day I submit my ads to 40-50 safelists and viral list builders. I am currently promoting my own safelist (Mister Safelist) to these sites using various splash pages. Note that you won’t see Mister Safelist listed below because it wouldn’t make sense to promote it there but trust me, it’s good! I like to point out that I do have upgraded memberships at most of the sites listed below which allows me to send my ads more often and to more people. I also spend a considerable amount of time each day reading emails to earn enough credits to send my ads to the maximum number of people. Not my best month but considering how much down time I had it’s not bad either. Keep in mind that the stats above are the results of my own marketing efforts and are only provided to show what is currently working best for me. What works best for you might be something entirely different. The only way to know what works best for you is to track your own results. You can get the same link tracker that I use along with a 30-day free trial from trck.me. See you next month and Happy New Year!